We acquired this from an old magician’s estate. It is the original version and comes with the punch, instructions, and a sample bill. 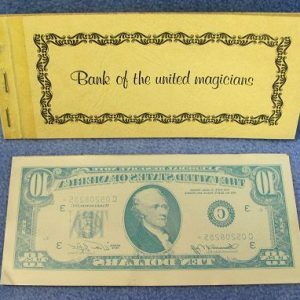 Once you receive the trick you will use this sample bill to make up the trick with a real dollar bill. Effect: The magician introduces a small paper punch and allows the spectator to punch a hole into a piece of paper. 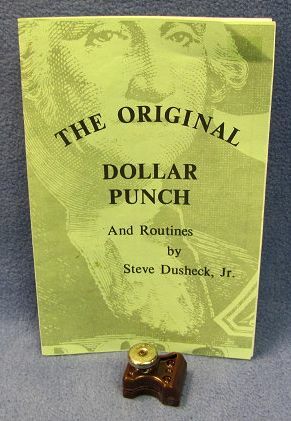 A dollar bill is folded several times so that the puncher can punch eight holes into the bill simultaneously. The bill is unfolded and the spectator can clearly see the holes. The magician folds the bill again and reverses the punching process! When the Dollar bill is unfolded, the holes have vanished and the bill is unharmed. 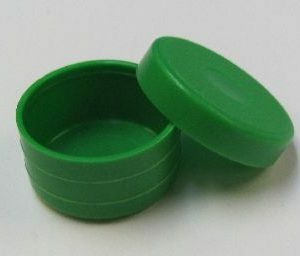 Once you have learned this you won’t leave the house without it!